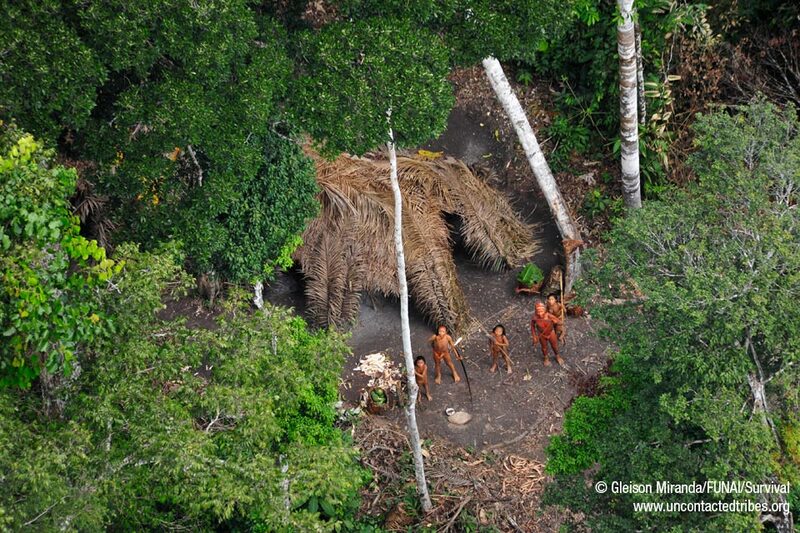 New photos obtained by Survival International show uncontacted Indians in never-seen-before detail. The Indians are living in Brazil, near the Peruvian border, and are featured in the ‘Jungles’ episode of BBC1’s ‘Human Planet’ (Thurs 3 Feb, 8pm, UK only). 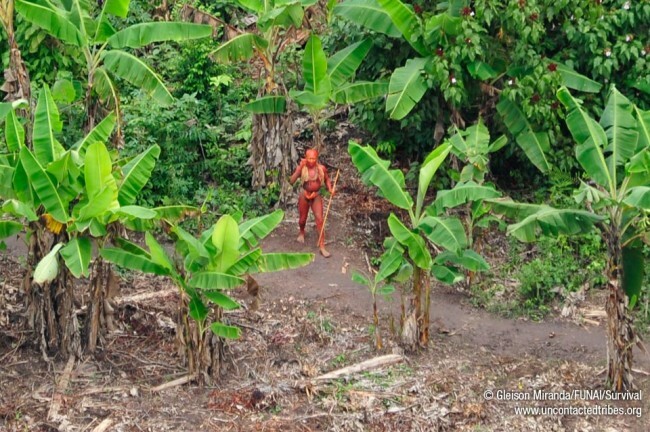 The pictures were taken by Brazil’s Indian Affairs Department, which has authorized Survival to use them as part of its campaign to protect their territory. They reveal a thriving, healthy community with baskets full of manioc and papaya fresh from their gardens. 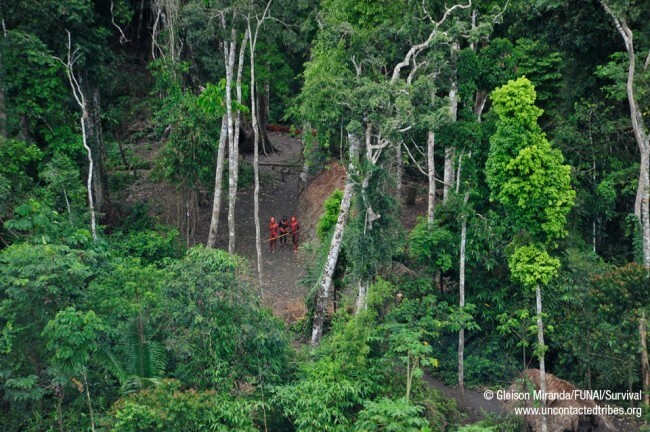 The tribe’s survival is in serious jeopardy as an influx of illegal loggers invades the Peru side of the border. 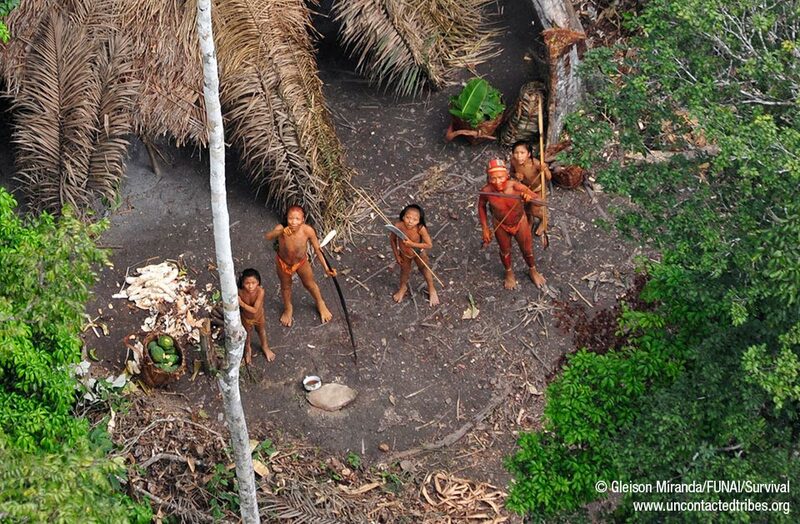 Brazilian authorities believe the influx of loggers is pushing isolated Indians from Peru into Brazil, and the two groups are likely to come into conflict. Survival and other NGOs have been campaigning for years for the Peruvian government to act decisively to stop the invasion, but little has been done. 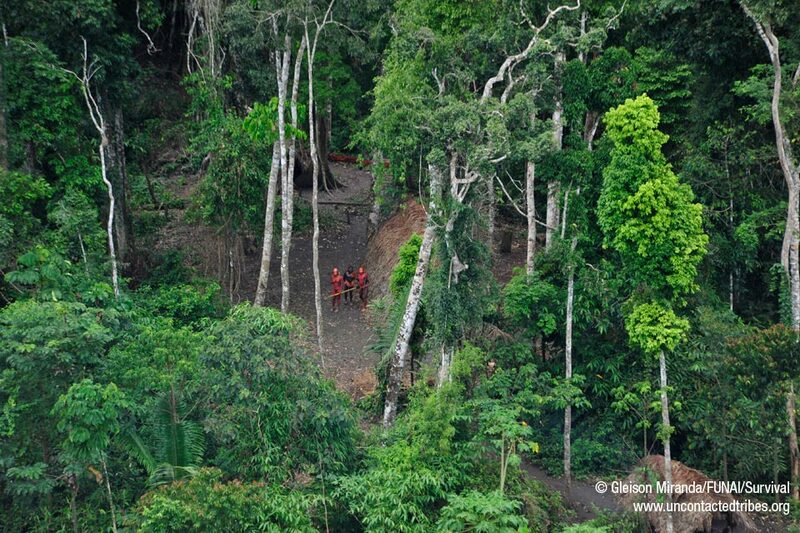 Last year an American organization, Upper Amazon Conservancy, carried out the latest of several overflights on the Peru side, uncovering further evidence of illegal logging in a protected area. Survival’s Director Stephen Corry said today, ‘The illegal loggers will destroy this tribe. It’s vital that the Peruvian government stop them before time runs out. The people in these photos are self-evidently healthy and thriving. What they need from us is their territory protected, so that they can make their own choices about their future.